Elizabeth’s environmental law practice includes navigating the complex web of environmental regulations, obtaining permits, compliance counseling and the resolution or avoidance of environmental enforcement issues. 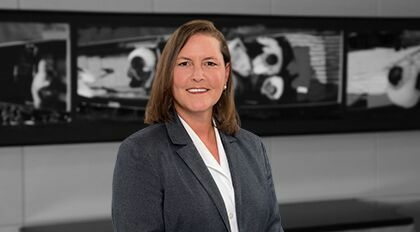 Before joining Moore & Van Allen, Elizabeth served as the Director of Environmental Affairs for the South Carolina Department of Health and Environmental Control (DHEC) where she oversaw DHEC’s Office of Environmental Quality Control (EQC) and Office of Ocean and Coastal Resource Management (OCRM). In that role, she was responsible for all permitting, compliance and enforcement for the state’s environmental programs. Prior to serving as the chief regulator for SC, Elizabeth was Chief Counsel for DHEC’s Office of Ocean and Coastal Resource Management where she advised staff on permitting and enforcement issues in the 8 coastal counties of SC. During her time at DHEC, Elizabeth worked closely with the US Environmental Protection Agency, US Army Corps of Engineers, other state and federal regulators as well as industry and environmental groups. Elizabeth was in private practice working as a litigation attorney with Haynsworth Sinkler Boyd, PA for 8 years before joining DHEC. Elizabeth’s litigation practice includes bringing and defending challenges to permitting and enforcement decisions in front of government agencies and the S.C. Administrative Law Court. She has handled appeals before S.C. Court of Appeals and the S.C. Supreme Court.